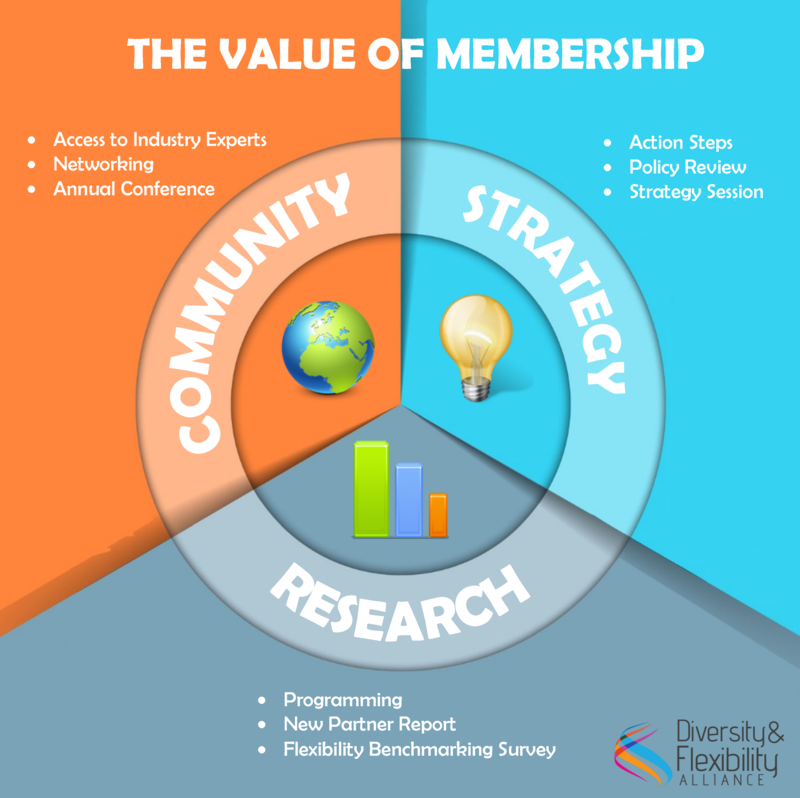 The Diversity & Flexibility Alliance understands the importance of organizational solutions that integrate more women into leadership positions, create an inclusive work culture, and promote the use of non-stigmatized, flexible work policies. Alliance member organizations include over 30% of the 2016 AmLaw 100. We deliver high value to members through one-on-one collaborations guided by the unique circumstances of each work environment. We strive to inspire each organization through innovative thinking, programs and events, policies, tools, and action steps. Our goal is to create change in each member organization that promotes diversity and flexibility, creates inclusion for all, and advances women into leadership positions. The Alliance promotes high productivity to enhance the bottom line through practical and successful strategies that promote the attraction, retention, and advancement of top talent. By joining the Alliance, organizations signal their commitment to advancing women, fostering flexibility, and advancing top talent – partner with us to strengthen your high performance culture and learn how to better leverage the business benefits of diversity and flexibility. Interested in learning more about the Alliance, our services, and advancing diversity and flexibility in your organization? Contact Eliza Musallam, Director of Member Relations & Outreach, to schedule a call with our team. Learn more about our member benefits and current members. Already a member? Visit the Member Resource Center.